RAWALPINDI: Pakistan Air Force's (PAF) war hero Air Marshal (retd) Inamul Haq Khan passed away here in Rawalpindi on Thursday after prolonged ailment, a spokesman for the PAF said. Haq was a hero of 1965 and 1971 wars with India, the spokesman said, adding that he was ailing for quite some time. He aged 90. PAF Chief Air Chief Marshal Sohail Aman expressed immense grief over the demise of Pakistan's war hero. 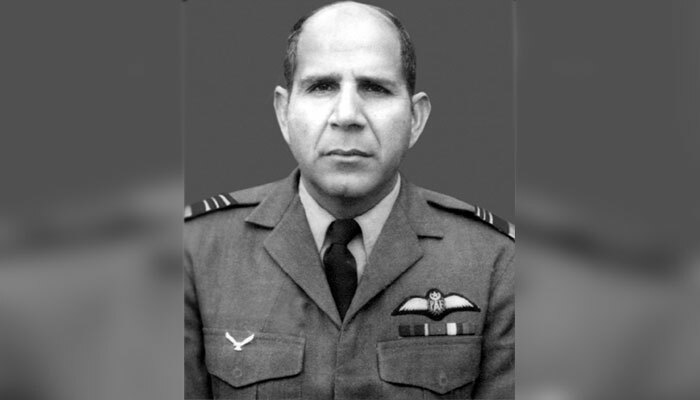 Born in Patiala, India, in May 1927, Haq got commission in 5th GDP course of the Royal Pakistan Air Force in 1947, the spokesman said in a statement. He was inducted in the Royal Pakistan Air Force as a fighter pilot in December 1949. Haq was conferred with Hilal-e-Jurrat in recognition of his services in the 1971 war. He was also bestowed with Sitara-e-Imtiaz (Military) and Hilal-e-Imtiaz (Military). His funeral prayers will be held at PAF Base Noor Khan on August 11 with complete military honour.